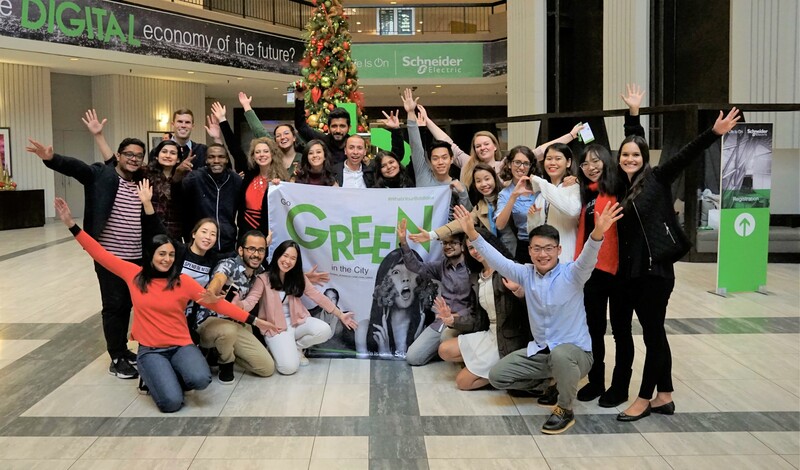 Meet the incredible team who won “Women In Business Award” in Go Green In The City challenge 2018! 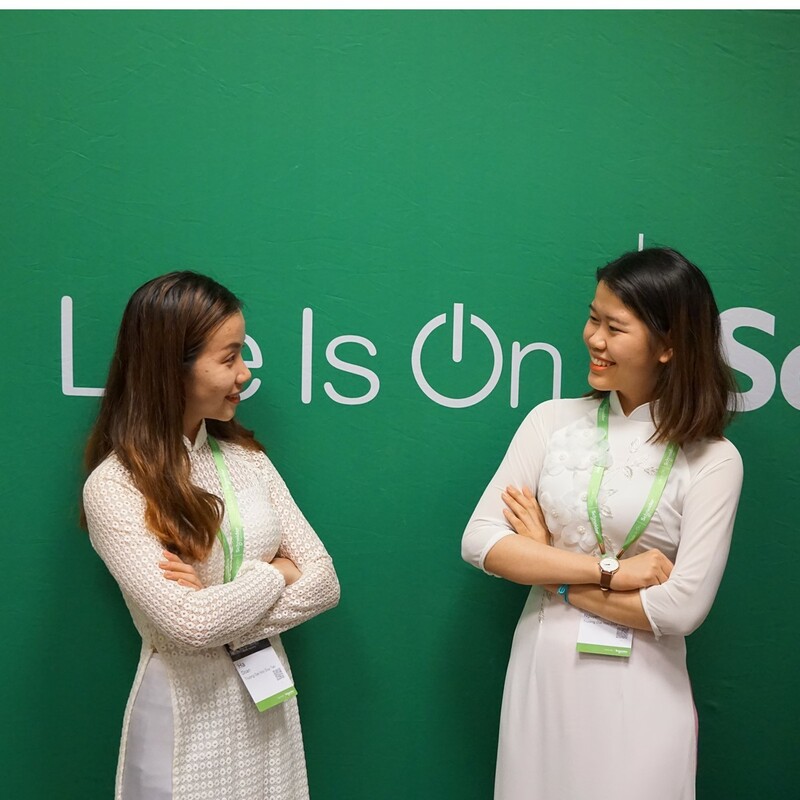 Thanh Nguyen is currently pursuing a Bachelor in Business Administration and Ha Doan is studying in Electronics and Telecommunications at Duy Tan University. 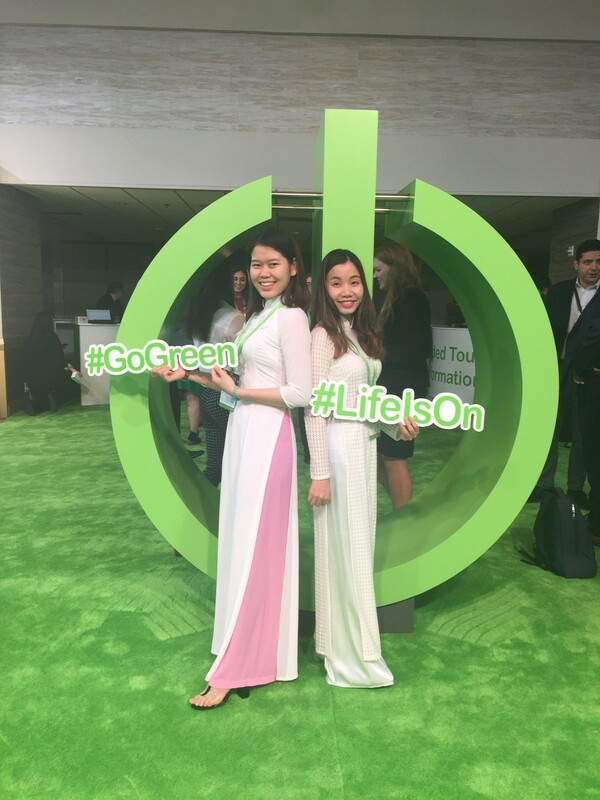 Thanks to the Go Green journey, Thanh Nguyen believes more in what she is pursuing at school and she aspires to work in the international business environment after graduating. Otherwise, Ha Doan has a passion for agricultural technology, she wants to create technology products that can contribute to the development of clean agriculture. They share the same hobbies in reading, travelling and meeting new people. In this blog article they share their Go Green winning experience and some advice on starting live adventures. On a Sunday of April, that single step started. We had the first chat via Messenger to have a decision to register for Go Green In The City 2018, with all excitement and determination. At that time, we were concerned about all the wasted energy when motorcycles are braking on the road. We wanted that millions of motorbikes out there are not only a means of energy consumption but also a source of energy. Originated from that desire, the idea of motorbike’s regenerative braking system, transforming wasted friction into electricity, was born. We gradually developed the original idea. At first we made prototypes and conducted researches. Secondly we applied the business aspects to the project. There were many rounds during the competition, from the simple to the most complex one, and at each stage we always received help and encouragement. Our dear teachers at Duy Tan University supported us greatly, as well as Schneider Electric mentors. Then also the jury board provided as with highly valuable feedback. One time when we faced a difficulty, our dear teacher transmitted the flame of enthusiasm to us by one sentence: “You have not tried to do it yet. How do you know you can’t do it?”. The sentence is short but it became a source of hope for our creativity and effort not only in our research but also in our life. Thanks to help and encouragement from everyone, the idea had gradually been improved. Not to mention that we have also grown up day by day. Friday of September 7th became the unforgettable day. 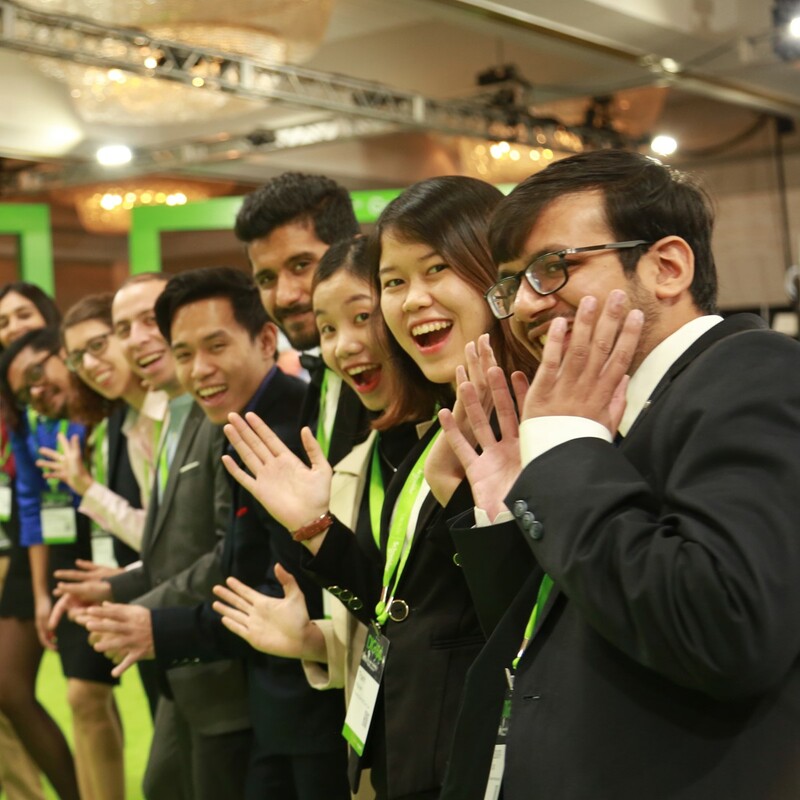 We almost cried together on the telephone line when we received the congratulatory email from Schneider Electric informing that our team would be in the grand final round in Atlanta, the USA. No words could express our feeling at that moment! We were impressed by other students ideas, offering solutions to many existing problems such as hunger, garbage, waste of energy, air pollution, etc. All of us shared the same hope that our ideas can partly help the world become a better and more sustainable place. 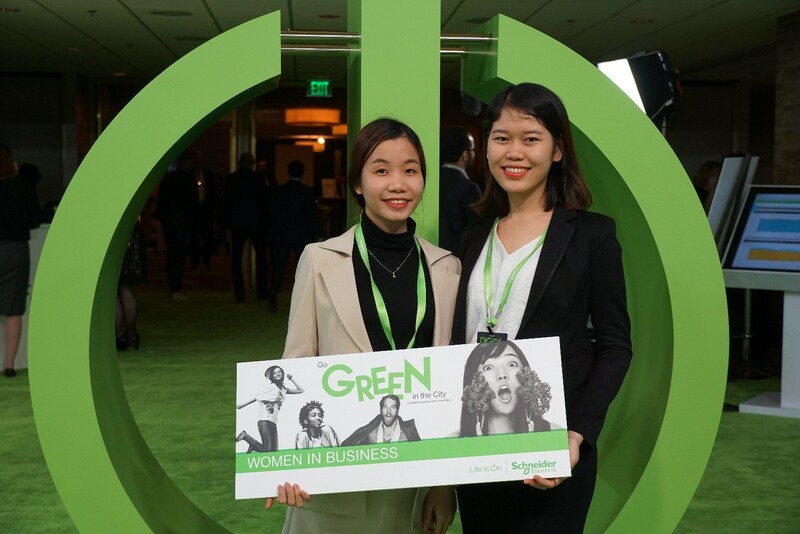 During the journey we could obviously see that Schneider Electric has a deep respect for women and cares about gender equality as well as diversity in the area of energy industry. We appreciate and feel thankful because of that. It was truly an honor and we are very happy that our team was selected to receive Women In Business Global Award, a special award for for the best all-female team. We often jokingly say that this award is a sweet ending for our wonderful Go Green journey. However, it is not really an end, it is a beginning because it creates the additional motivation for us. Every time we look at this award, it motivates us to be stronger, never stop learning, and never stop trying. We are young girls with dreams, aspirations and efforts. We love challenges, we want to step outside and learn. 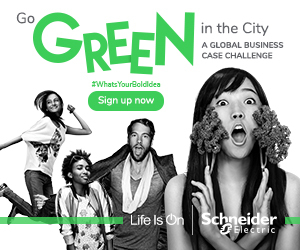 If you are girls too, Go Green In The City will be a tremendous amazing journey for you. You will learn wonderful things that you couldn’t even imagine. Get rid of the word “fear” from your dictionary and you can do it. Our message to all women and men who are not sure how to make the first step in their journeys is simple. Whatever you do, do it with your whole heart. Do not limit your ability, do not be afraid. Nurture your desire, passion, constantly explore, learn and don’t hesitate to create bold ideas. Finally, from the bottom of our hearts we want to thank everyone who helped us, cared about us and shared with us every moment. We are grateful for everything that happened to us. And, thank Go Green In The City! The best journey ever.